Wait for our reply within office hours for quotation. If you agree with the price given,we will issue the invoice . Next,we require 50% deposit on your orders before any work begins. After we have received the payment,we will proceed with the tracing of your artwork. 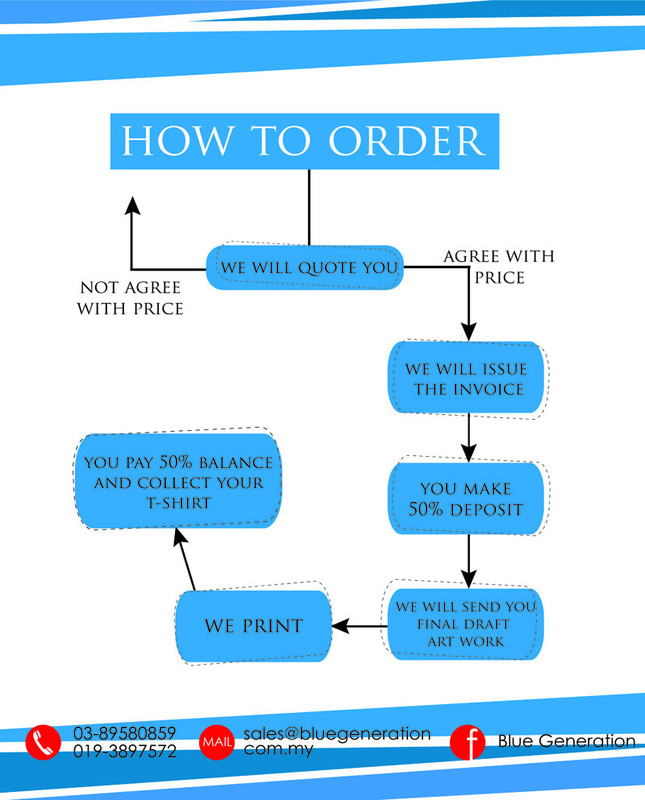 Then,we will send you the final draft for confirmation.Once approved,we will get your order into production otherwise we will fix anything upon your request. Our in-house production will then proceed orders. *No changes shall be made after approval or we have to extend the date.